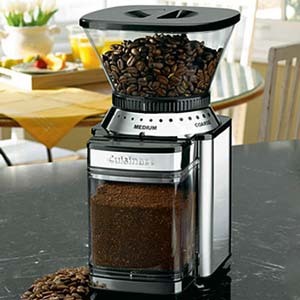 Having a burr coffee grinder at home is one of the best thing that I did to be able to enhance my coffee drinking at home. That is what I always liked in coffee, I wanted to bring the taste of coffee shops at my home so that I would be able to save up on money but not sacrifice my coffee quality with cheap types of coffee. So what I do is I usually grind coffee beans at home, after of course having them roasted from the coffee shop. Afterwards I brew it on my espresso maker to be able to have a great daily cup of espresso.